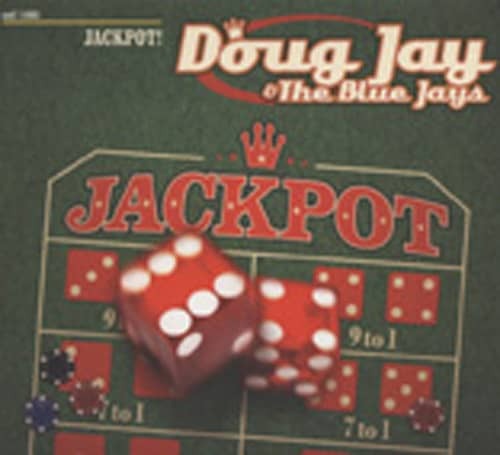 Doug Jay & The Blue Jays Jackpot! 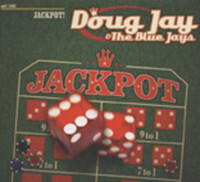 Doug Jay & The Blue Jays: Jackpot! Doug Jay, 'musical globetrotter of the blues', was born in 1953 in Pensacola, Florida. His family moved often before finally settling in the Washington, DC area. Upon hearing recordings of master blues harpist Little Walter, he became hopelessly hooked, and started playing harmonica. His professional career began in the early 70s, and in 1976 he joined The Allstars from Charlottesville, one of the innovative yet short-lived bands of the era. Their 1978 album release was a critic's favorite. Doug's harp playing sounded particularly fresh and inspiring: innovative, uncliched and unique. After a stay in Bob Margolin's band and a couple of more years on the east coast, Doug moved to California in 1990, during the boom years of the west coast blues scene. While in California, Doug recorded his first solo album. In 1993 he toured Europe twice as a member of Austria's Mojo Blues Band. By the mid-nineties he was living back on the east coast and produced his second solo release (with a.o. Alex Schultz - gtr and Big Joe Maher - drums). He began to come over to Europe on a regular basis and eventually made Osnabrück, Germany his European home. 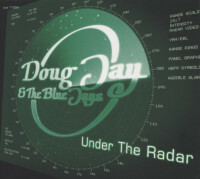 Backed by his current touring band, The Blue Jays, Doug has recorded this varied set of blues. With the exception of two Otis Spann covers and a Floyd Dixon tune, Doug and the band wrote all the material. Jimmy Reiter cuts quite a figure as a powerful rhythm guitarist. On lead guitar he is tasteful and self-assured. The rhythm section is equally good when swinging or grooving. A small list of hand-chosen guests ads that extra spice to these recordings. Doug covers a whole lot of ground here, from laid-back swamp blues to the deep sounds of Chicago, from guitar-driven blues to jump and swing in the finest west coast tradition. Doug's a fine vocalist; soulful, mourning and powerful, and his harp playing is exceptional. Although rooted in the traditions of African-American music, this set represents a superb contemporary piece of blues. Article properties: Doug Jay & The Blue Jays: Jackpot!